In this episode, Mitchell Levy (http://aha.pub/MitchellLevy), TEDx speaker and the AHA Guy at AHAthat (https://AHAthat.com), introduces his co-host for the month, #ThoughtLeader Ronan Leonard (http://aha.pub/RonanLeonard), an author, business mentor, speaker, and founder of the Return on Intellect and Eccountability, which helps overwhelmed and frustrated owners grow their businesses fast (https://www.eccountability.io/). In this episode, Mitchell Levy (http://aha.pub/CreatingThoughtLeaders), TEDx speaker and the AHA Guy at AHAthat (https://AHAthat.com), introduces his co-host for the month, #ThoughtLeader Orly Amor (http://aha.pub/OrlyAmor), an author, personal life mentor, international speaker and Executive Producer of the Social WOW Factor Cruise Summit who inspires and motivates others to be the best they possibly can and bring the WOW factor back into their personal and business lives (http://www.hwncc.com/). This episode is a wrap for the Legacy series, in which Mitchell Levy (http://aha.pub/MitchellLevy), TEDx speaker and the AHA Guy at AHAthat (https://AHAthat.com), and co-host Lisa McDonald (http://aha.pub/LisaMcDonald), author, motivational speaker, TV and radio host, and blogger (http://livingfearlesslywithlisa.com), exchanged amazing messages for the month. This episode will surely help you learn more about life as Mitchell Levy (http://aha.pub/MitchellLevy), TEDx speaker and the AHA Guy at AHAthat (https://AHAthat.com), and co-host Lisa McDonald (http://aha.pub/LisaMcDonald), author, motivational speaker, TV and radio host, and blogger (https://livingfearlesslywithlisa.com), together with their amazing guest, Dr. Marshall Goldsmith (http://aha.pub/DrMarshallGoldsmith), a world-renowned business educator, coach, author, professor, and executive (https://www.marshallgoldsmith.com), talk about the value of time and how paying it forward makes life worthwhile. In this episode, Mitchell Levy (http://aha.pub/MitchellLevy), TEDx speaker and the AHA Guy at AHAthat (https://AHAthat.com), introduces his co-host for the month, Lisa McDonald (http://aha.pub/LisaMcDonald), an author, motivational speaker, and radio-TV show host, and they share views with Ben Gay III (http://aha.pub/BenGayIII), a top-notch salesman and sales trainer with over 40 years of professional experience. This episode will surely catch your minds and hearts as Mitchell Levy (http://aha.pub/MitchellLevy), TEDx speaker and the AHA Guy at AHAthat (http://AHAthat.com), co-host Lisa McDonald (http://aha.pub/LisaMcDonald), author, motivational speaker, TV and radio host, and blogger (http://livingfearlesslywithlisa.com), and their guest, Lolly Daskal (http://aha.pub/LollyDaskal), executive leader coach, consultant, speaker, columnist, and best-selling author of “The Leadership Gap” (https://www.lollydaskal.com), talk about the things you have to do to create your own legacy. In this episode, Mitchell Levy (http://aha.pub/MitchellLevy), TEDx speaker and the AHA Guy at AHAthat (http://AHAthat.com), and his co-host for the month, Lisa McDonald (http://aha.pub/LisaMcDonald), author, motivational speaker, and radio and TV show host, share views with Al Cole http://aha.pub/AlCole), a world-class speaker, author, singer, and CEO of People of Distinction Humanitarian Foundation. In this episode, Mitchell Levy (@HappyAbout), TEDx speaker and the AHA Guy at AHAthat (http://AHAthat.com), and co-host Lisa McDonald (@FearlessLisaM), an author, motivational speaker, TV and radio host, and blogger (http://livingfearlesslywithlisa.com), exchange great insights with Jeffrey Hayzlett (@JeffreyHayzlett), a best-selling author, global business celebrity, speaker, and chairman of C-Suite Network. In this episode, Mitchell Levy (http://aha.pub/MitchellLevy), TEDx speaker and the AHA Guy at AHAthat (http://AHAthat.com), introduces his co-host for the month, #ThoughtLeader Lisa McDonald (http://aha.pub/LisaMcDonald), an author, motivational speaker, and radio TV show host who empowers business owners, individuals, and entrepreneurs to become successful by approaching life, love, and work with fearless gratitude, enthusiasm, and hope (http://www.livingfearlesslywithlisa.com). This month’s episodes will be fun and interesting, as they will focus on the general concept of legacy and what it means in today’s world. Pledge as little as $1 per month to help support the existing stable of shows, make new shows possible, and be part of the growth of the FIR Podcast Network. Visit the FIR Podcast Network Archives at forimmediaterelease.biz. 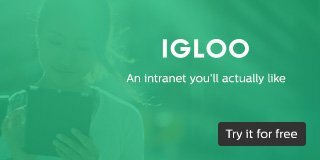 Igloo Software, providers of an intranet you’ll actually like, delivered securely with our cloud platform. 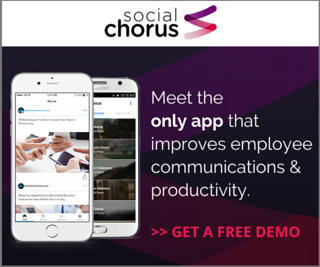 The only app improving employee communication and productivity. 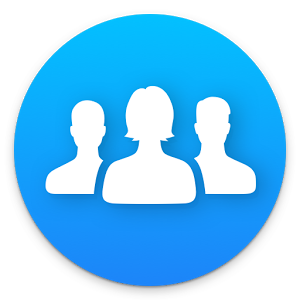 The internal communication platform that plugs into Outlook. Email comments with or without audio attachments (5 MB/3 minute limit) to fircomments at gmail dot com. Let your readers and colleagues know about FIR by adding a logo to your blog or web page. Get it here! Help Spread the Word about FIR! Website development by WP Fangirl. Album art and design by Effective Edge Communications.